Work should begin this month on the city’s new electrical substation, which will dramatically improve the city’s backup power supply. According to Scott Hansen, acting city manager and public works director, the current backup power source, located in the desert near the city’s landfill, is critical to serve the community but is outdated and inadequate. “The Boulder City Tap is the substation that provides backup power to the entire city,” he said. Hansen gave an update on the project and the city’s 10-year capital plan at the Dec. 12 City Council meeting. “It’s not at capacity to back up the entire city but hopefully will be by the end of this fiscal year,” he said at the meeting. The project will not affect daily service for Boulder City power customers. The city is also working on replacing two other substations to help upgrade the electrical system. Hansen also said that the city completed several other electrical projects in 2017, including on Boulder City Parkway in front of businesses as well as making progress with converting the old electrical system in the Gingerwood Mobile Home Park to a new one. “Progress is slow because most of the work requires hand digging in narrow corridors between the homes,” he said. To help plan for these types of projects, Boulder City implements a 10-year capital plan that includes general fund and utility fund projects. The plan is a “live document” and includes forecasts of known and anticipated needs for the city. It is updated each year as new needs become apparent and as the city goes through the budget process. Hansen told council members that plans for the 2018-2019 fiscal year include projects totaling approximately $4.6 million from the general fund and approximately $9.48 million from the utility fund. These include the city’s new aquatic center, improvements to Boulder City Parkway and fleet replacements. 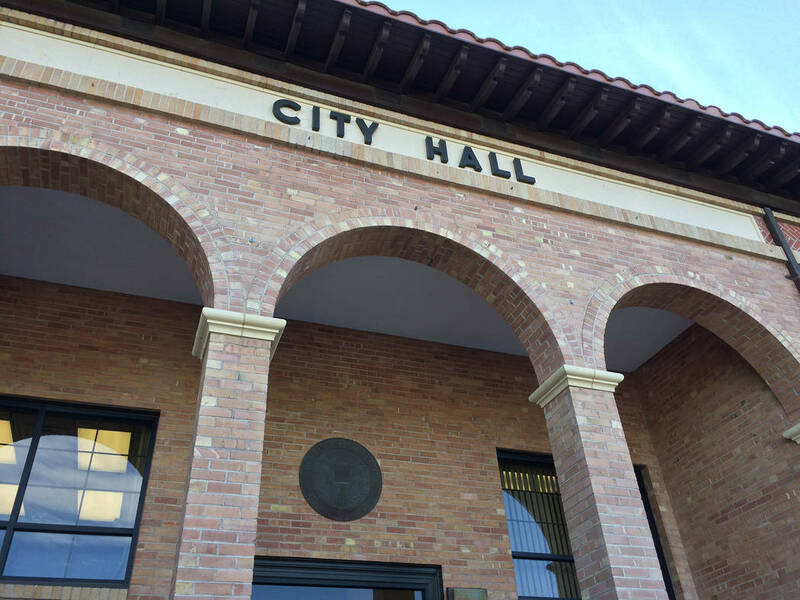 Mayor Rod Woodbury said that Hansen’s presentation is a lead-in to the city’s budget process so the City Council can get an idea of what the proposed projects are for the upcoming fiscal year. “We will have many workshops going into the budget session between February and May, approximately,” he said. Councilmen Kiernan McManus and Warren Harhay asked Hansen to have staff look at more funding sources for the projects. Current outside funding sources include the Regional Transportation Commission of Southern Nevada, Clark County Regional Flood Control District, Community Development Block Grants and the airport. “Further discussion and final decisions will be made during the budget process in the spring of 2018,” Hansen said.